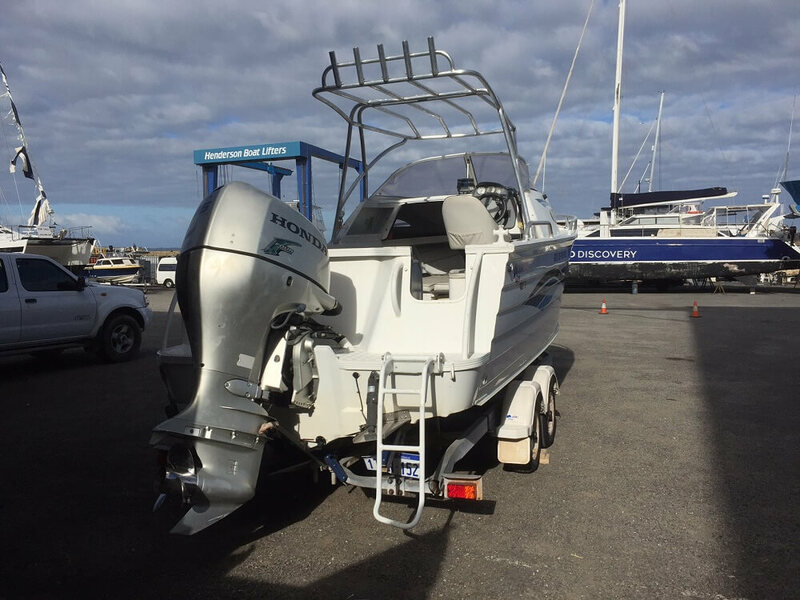 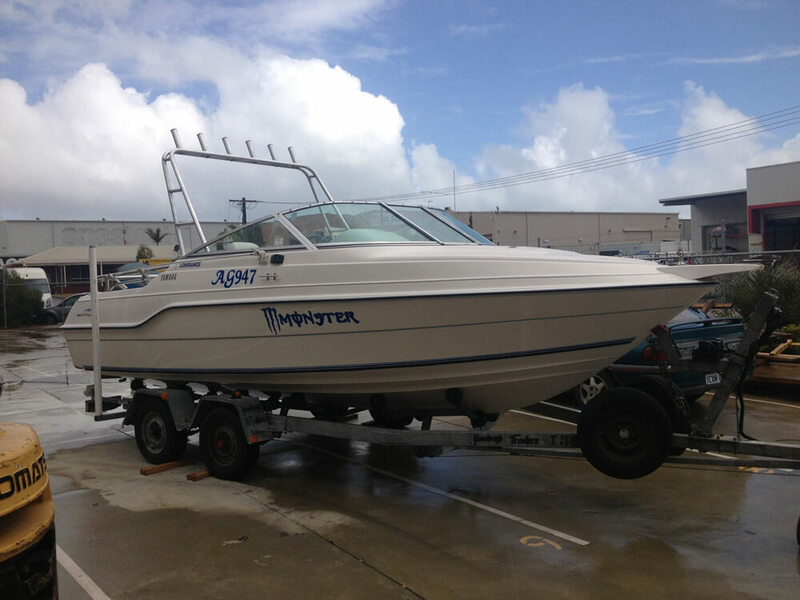 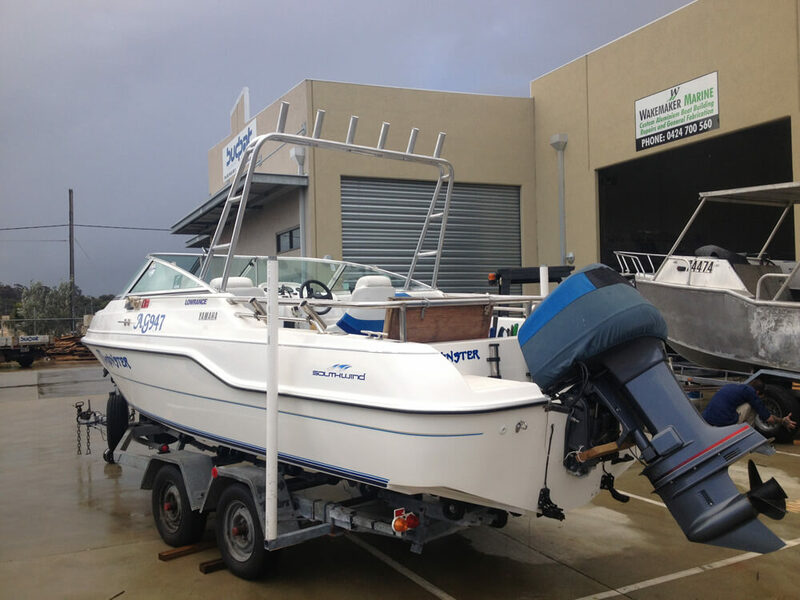 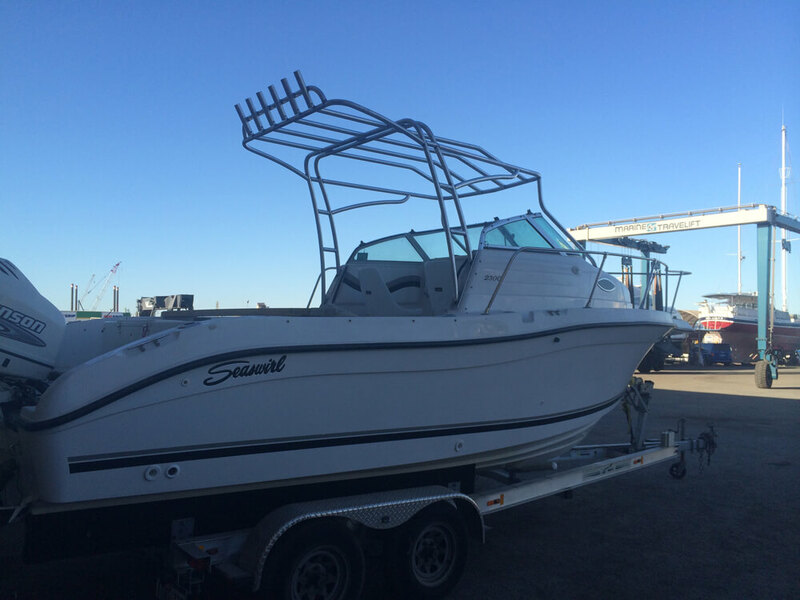 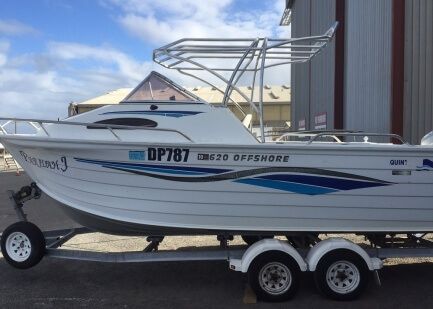 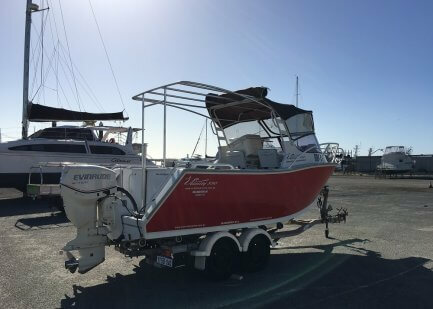 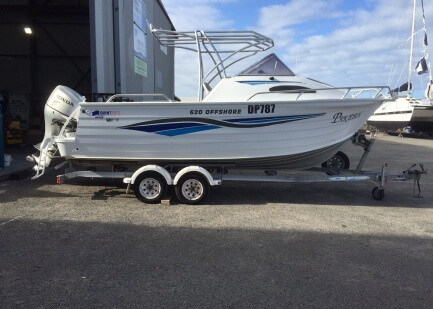 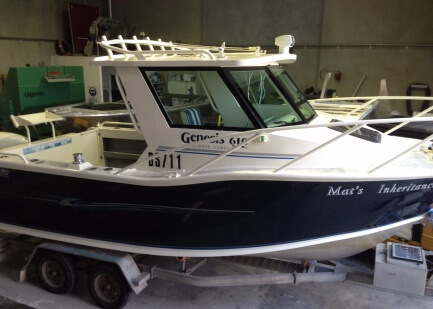 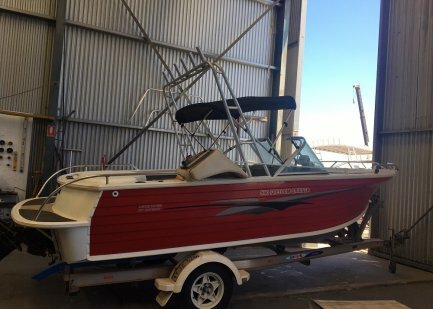 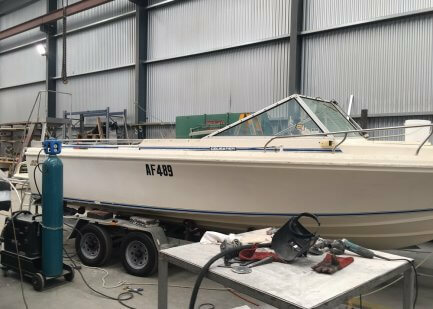 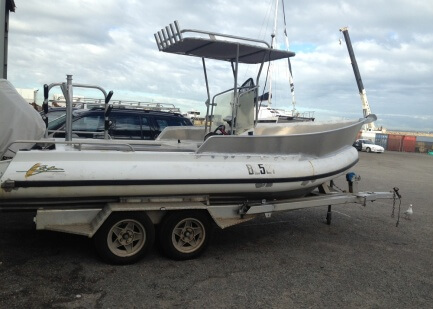 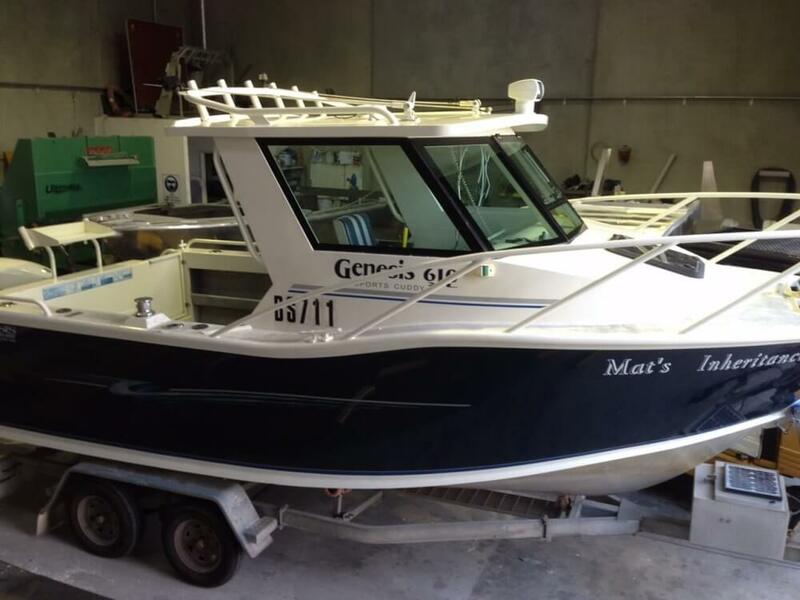 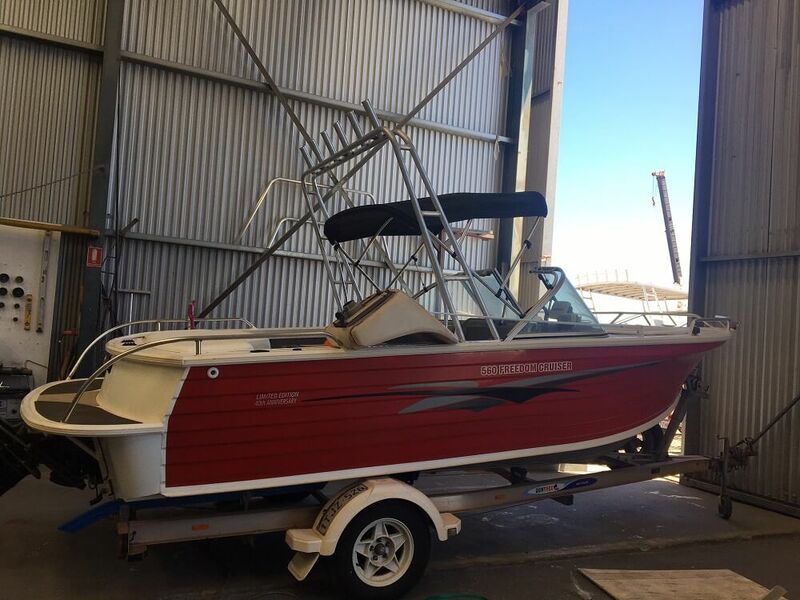 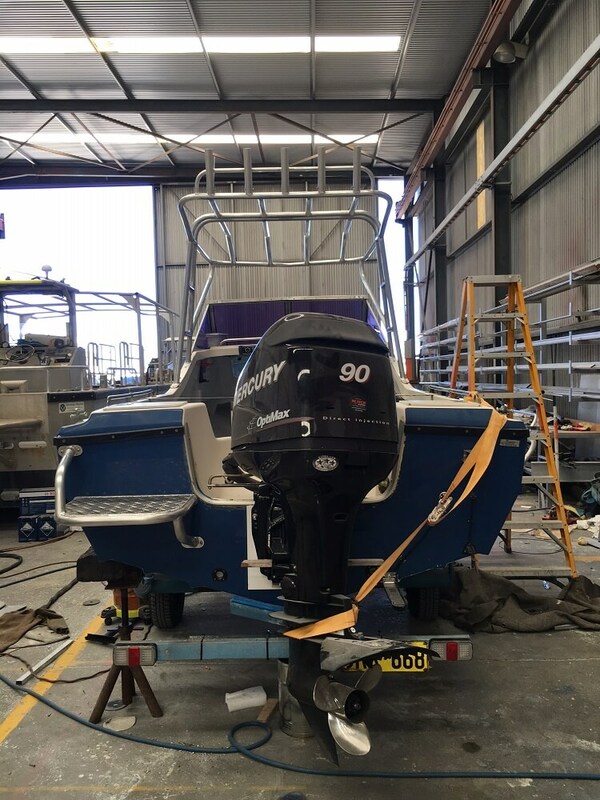 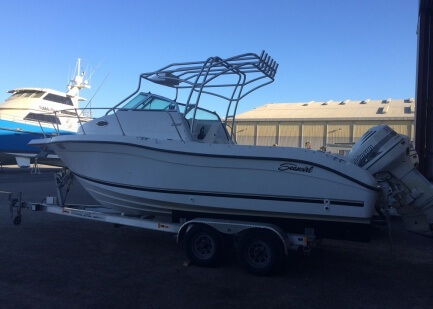 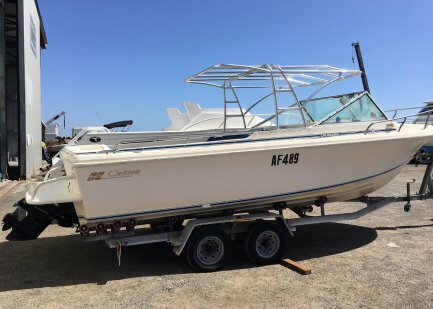 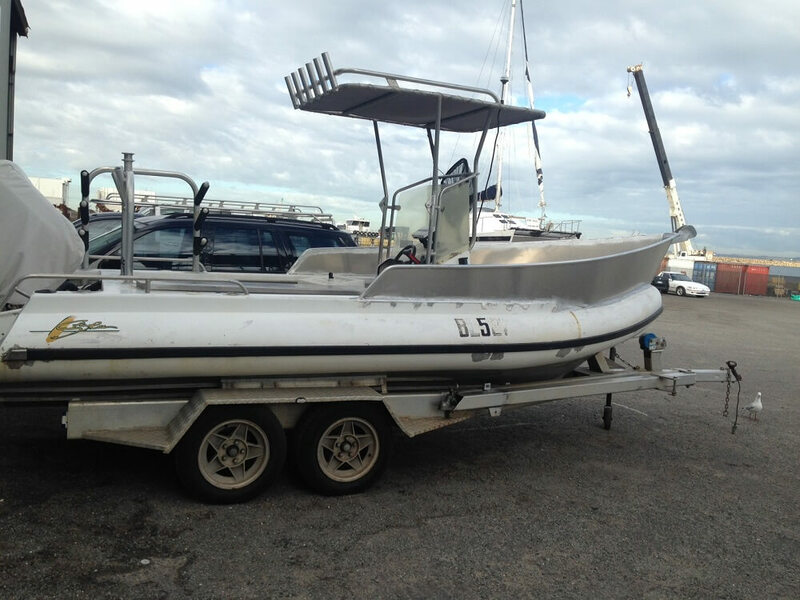 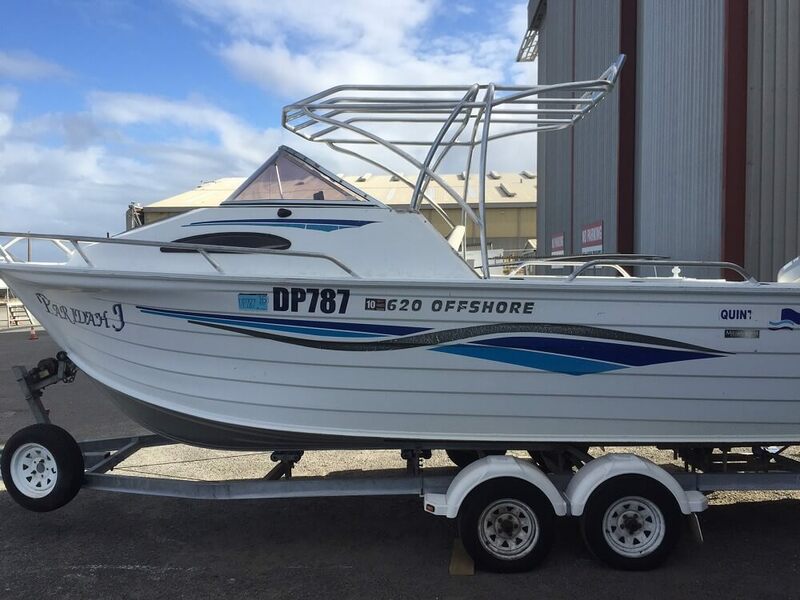 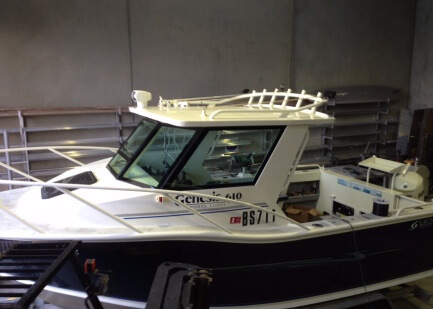 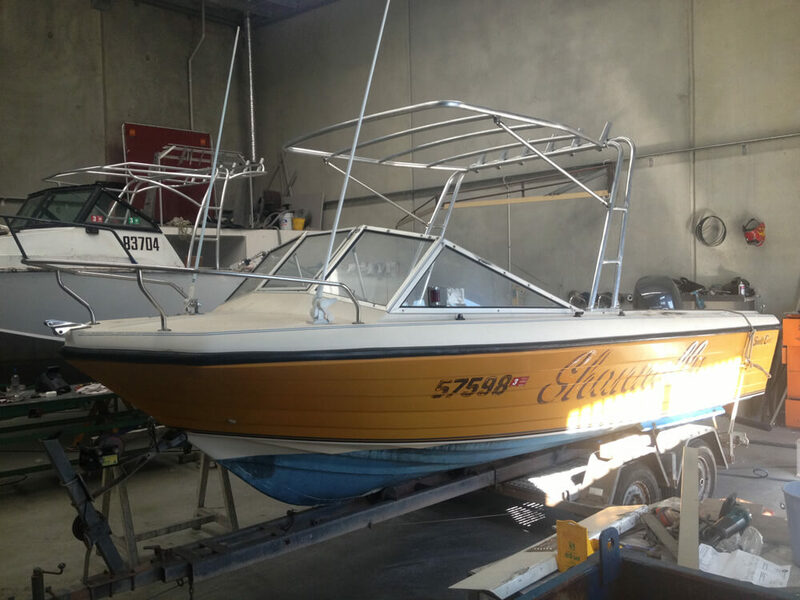 Here at Wakemaker Marine, we are dedicated to providing quality service and workmanship to our clients. 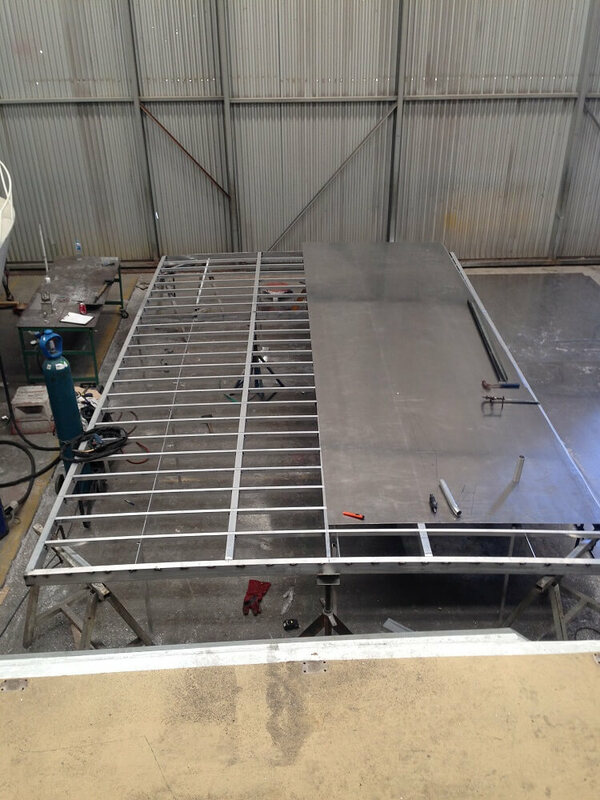 So, our team of skilled and experienced aluminium fabrication specialists listen carefully to your requirements and work hard to achieve this within budget and on time. 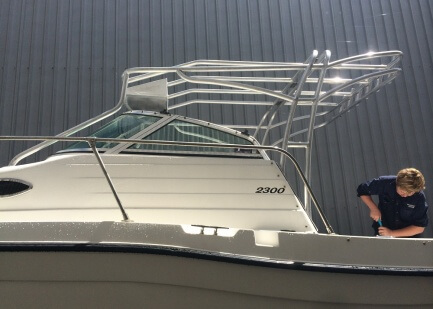 As such, we use our experience and knowledge of aluminium to design bar work for your boat that will not only increase the amount of shade coverage on your boat but is also aesthetically pleasing and built to withstand many years of use. 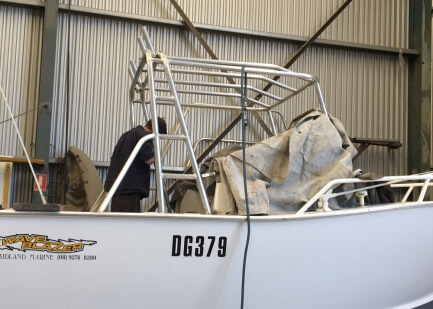 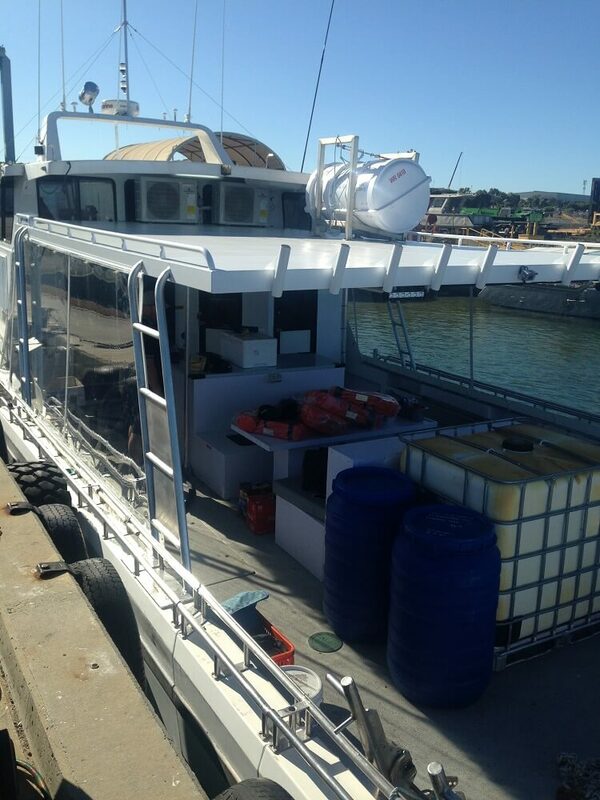 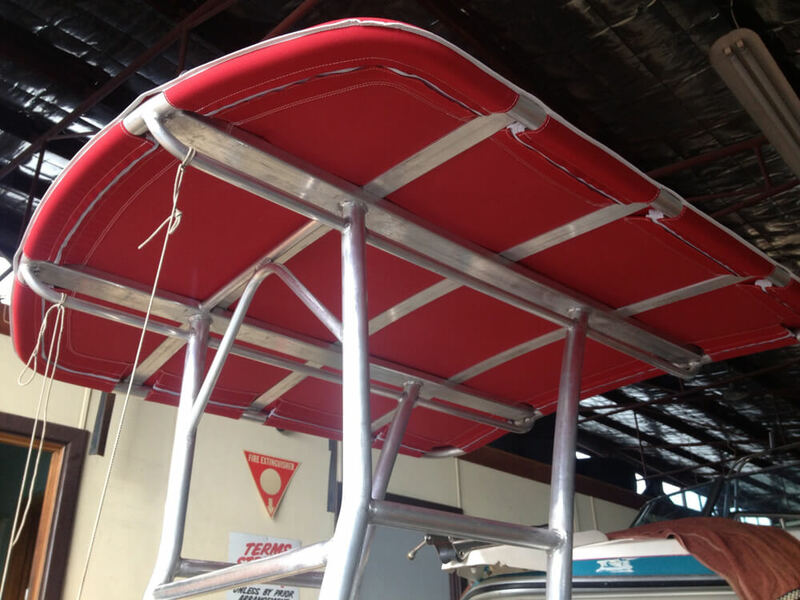 We do this using marine-grade materials to make sure that the bar work can withstand the harsh marine environment. 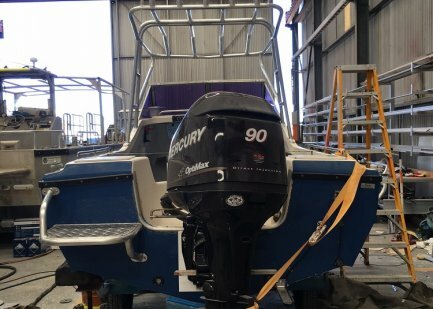 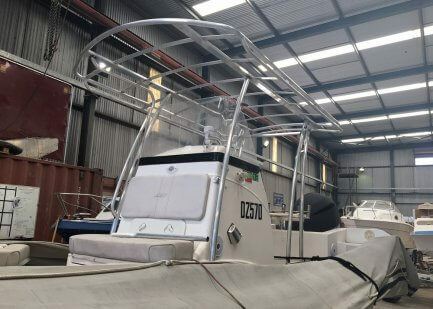 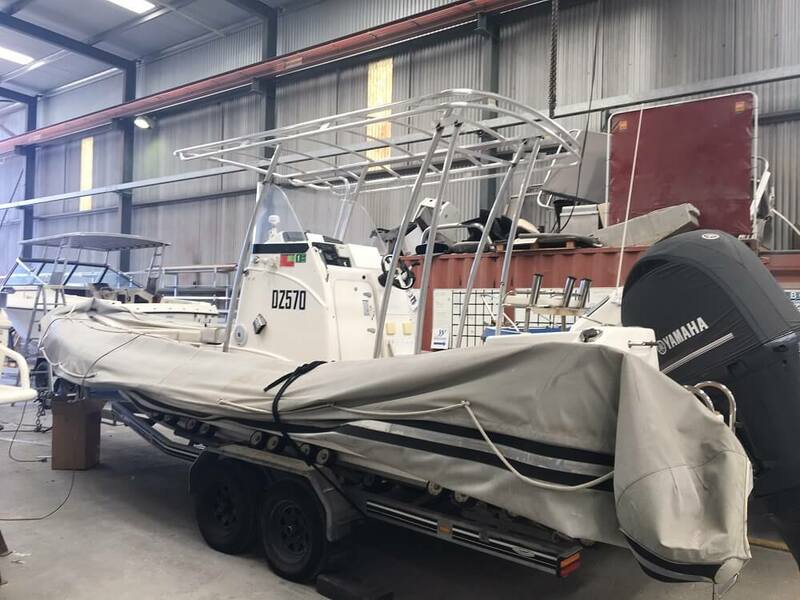 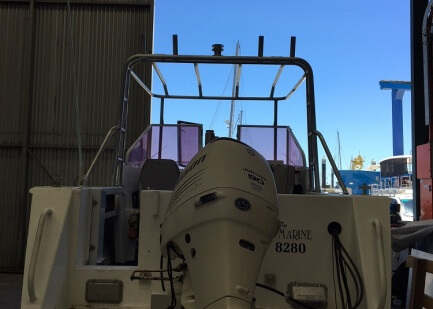 Here at Wakemaker Marine, we have a team of aluminium fabrication specialists who understand the importance of building quality boat shades for our clients. 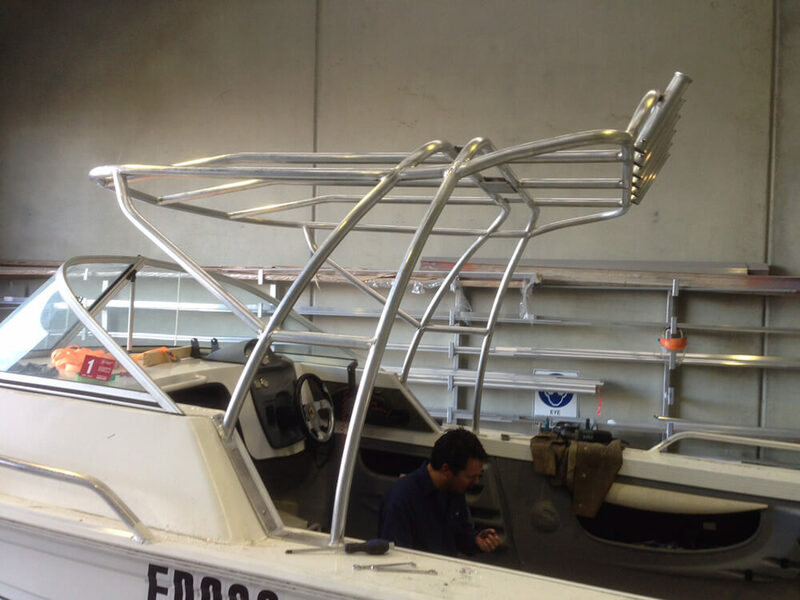 We use a minimum of 3.5mm wall thickness tube for all of our custom bar work. 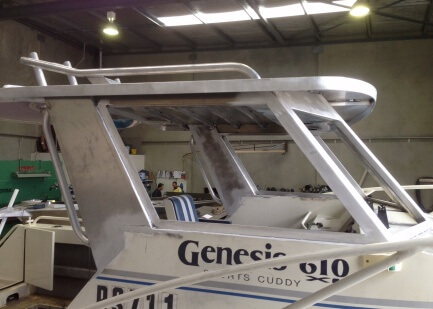 Our welders also ensure that the end-result is heavy-duty and that it can withstand various water conditions. 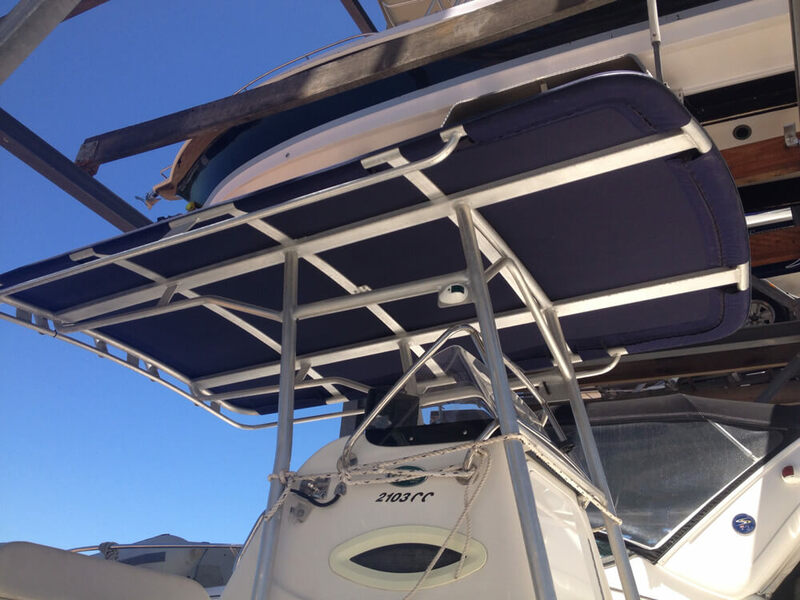 We know that functionality is important for boaters. 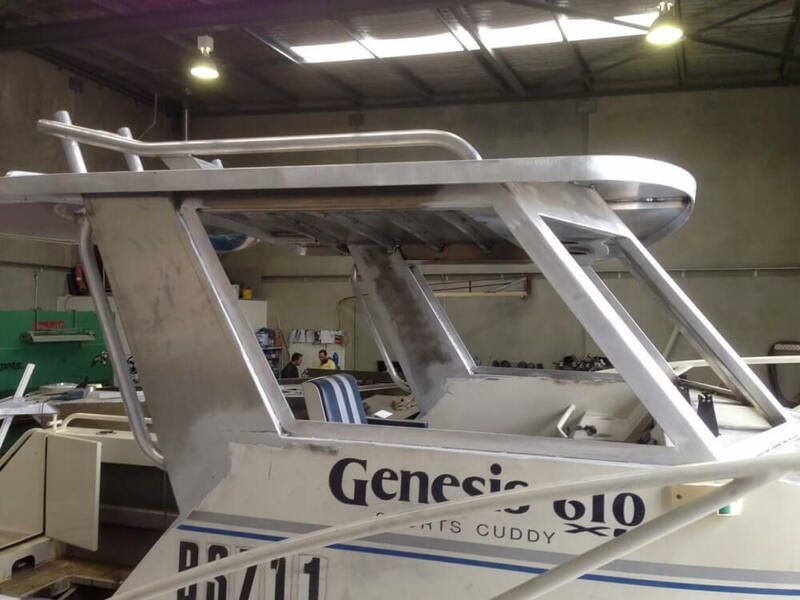 We add rod holders for our fishing enthusiasts and grab rails for added comfort and safety when boating in rough conditions. 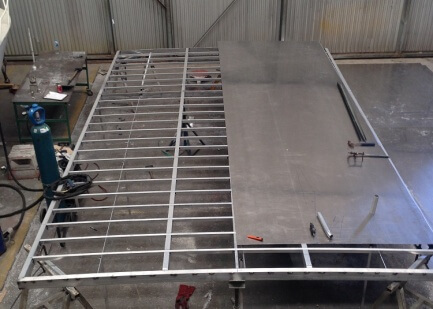 We specialize in building custom bar work that is designed to suit our customer’s needs. 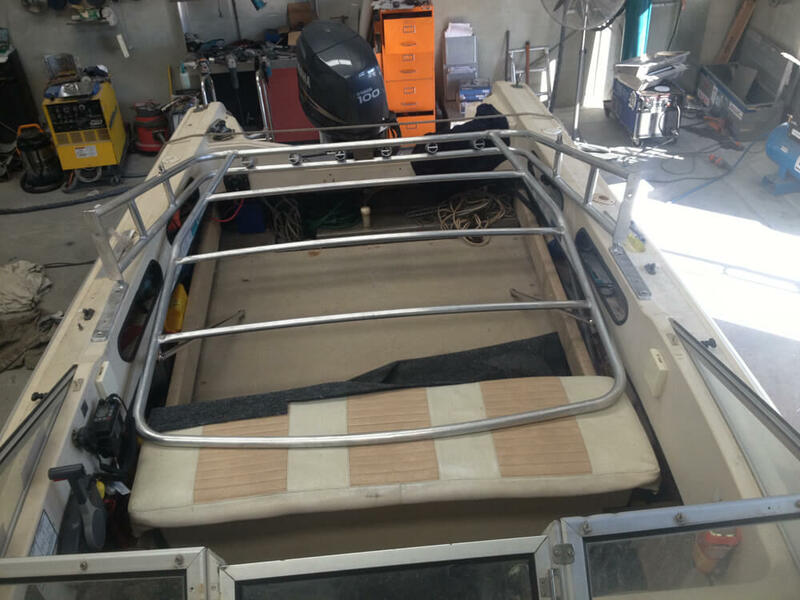 Why Choose Wakemaker Marine for Custom Bar Work? 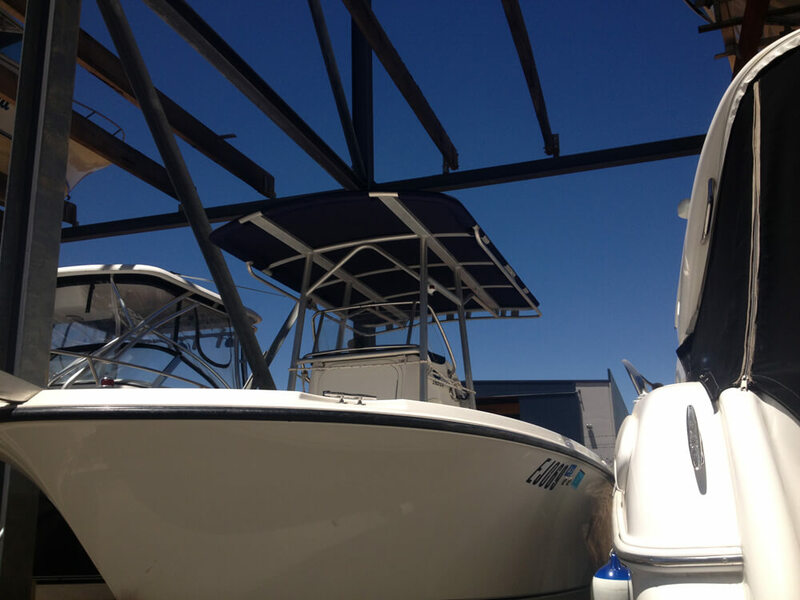 We provide our clients with functional yet aesthetically pleasing boat shades. 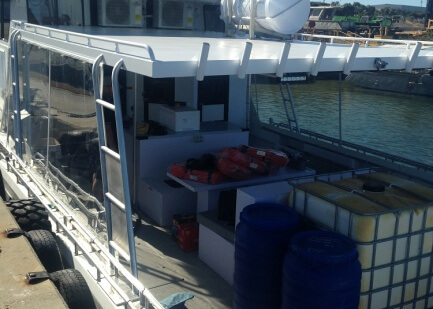 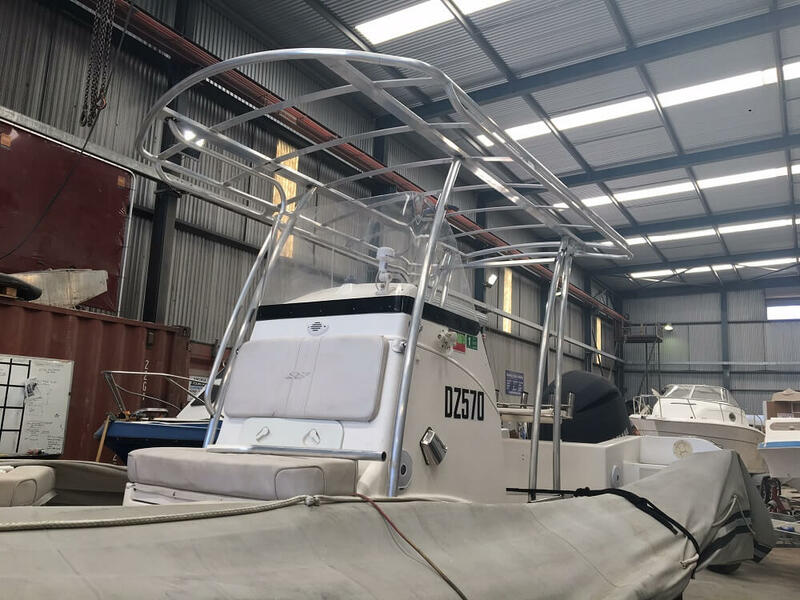 Our aluminium fabrication specialists are experienced and skilled in designing and fabricating custom bar work for boat shades. 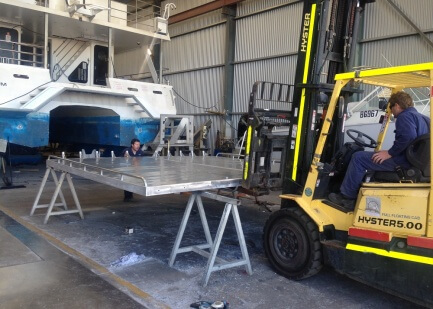 Our location in the Henderson Boat Lifters Compound provides the necessary equipment and facilities, such as the 150T Tammy Lift to accommodate commercial customers. 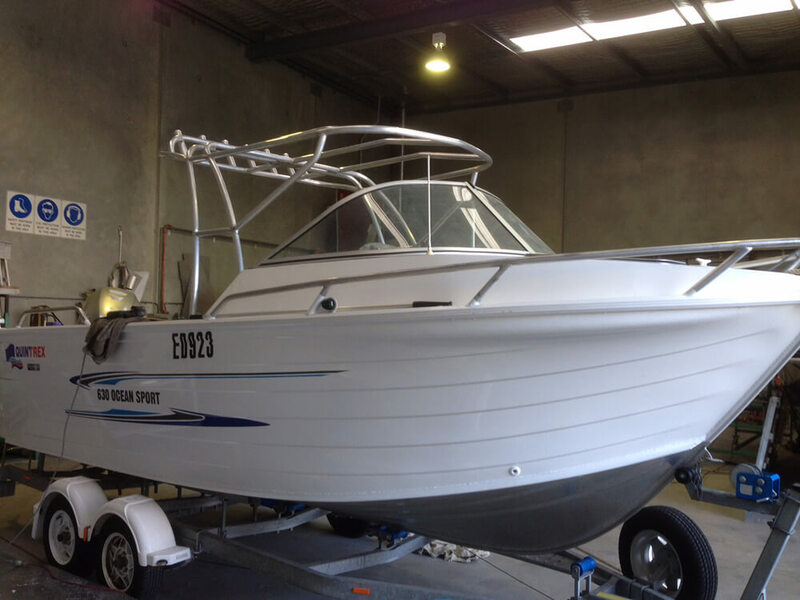 We always stand by our promise of quality workmanship and customer service. 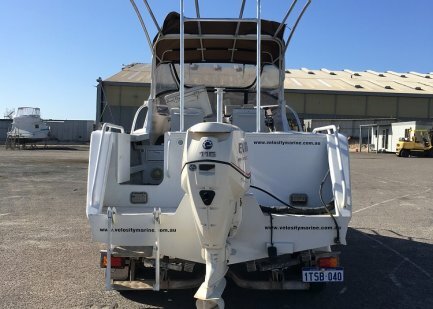 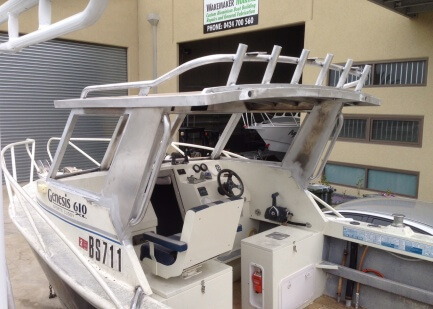 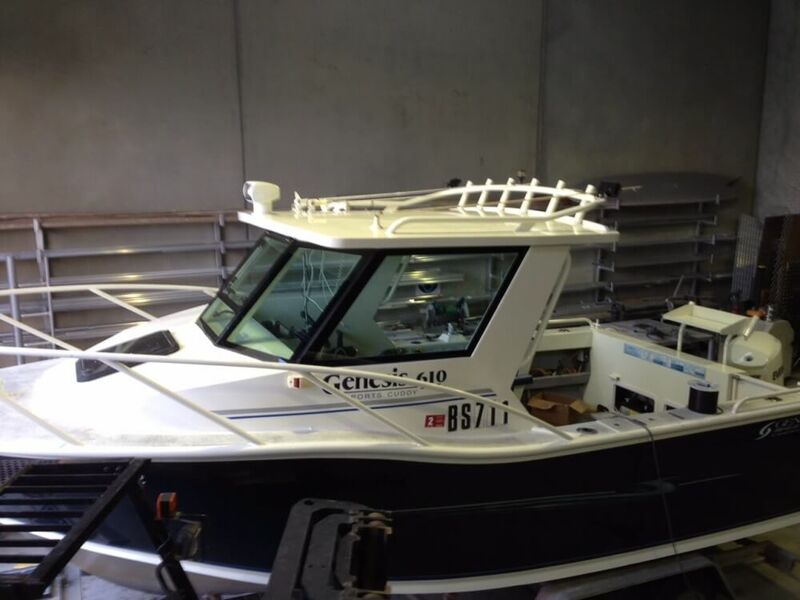 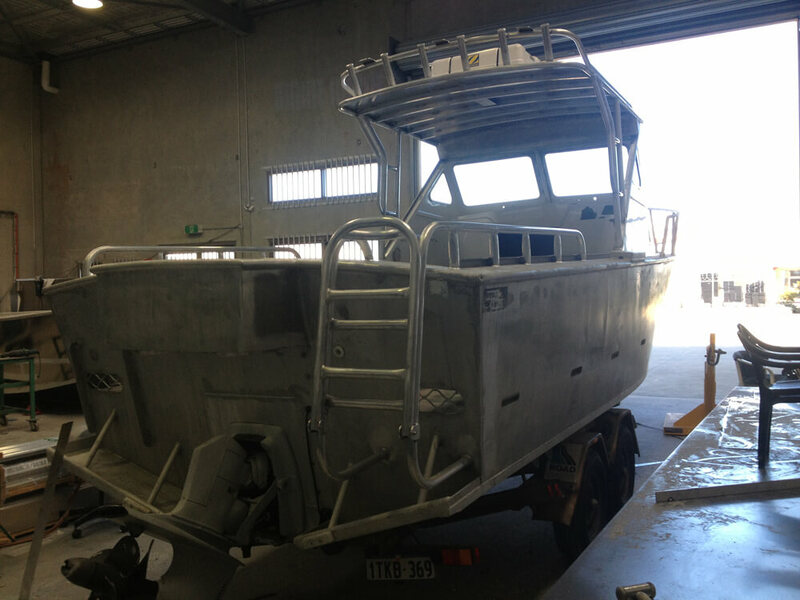 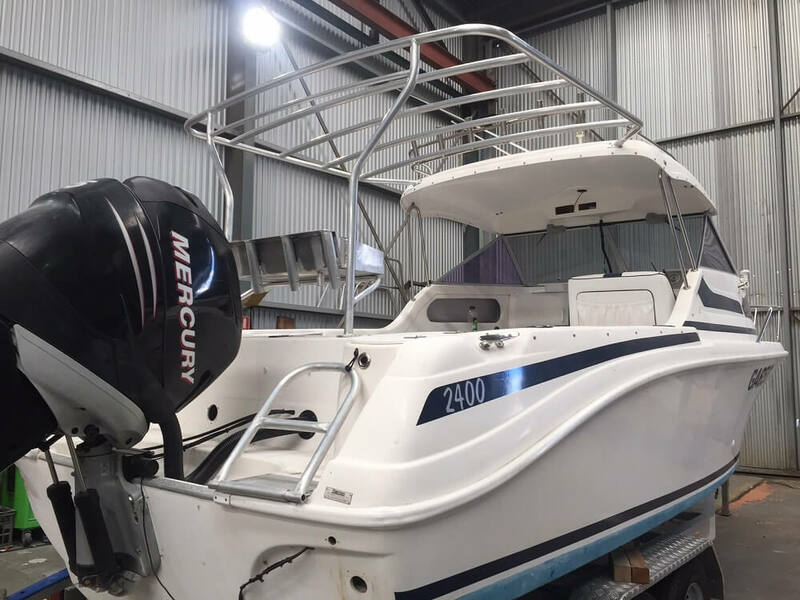 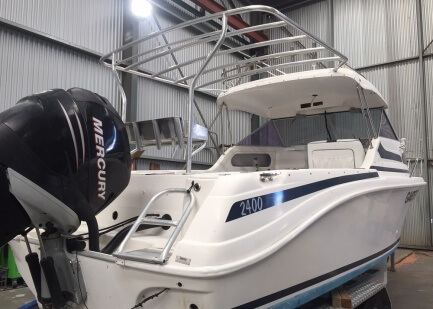 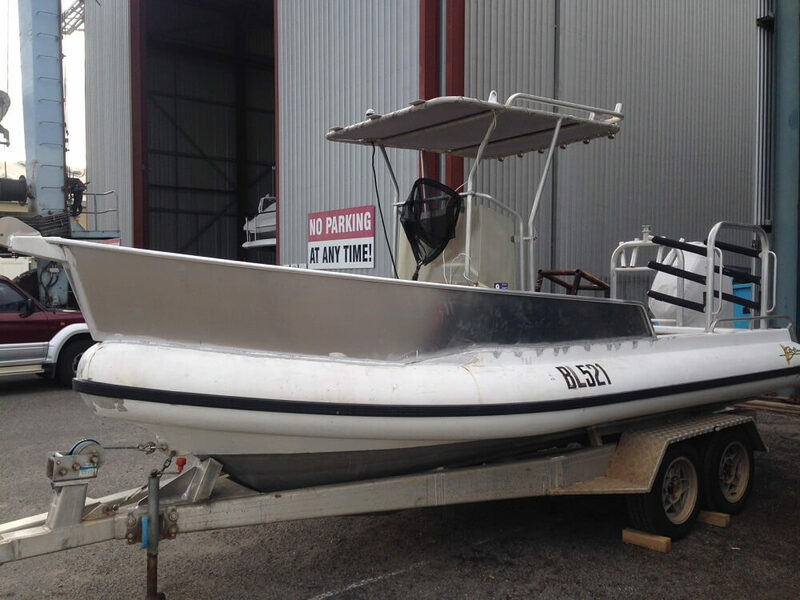 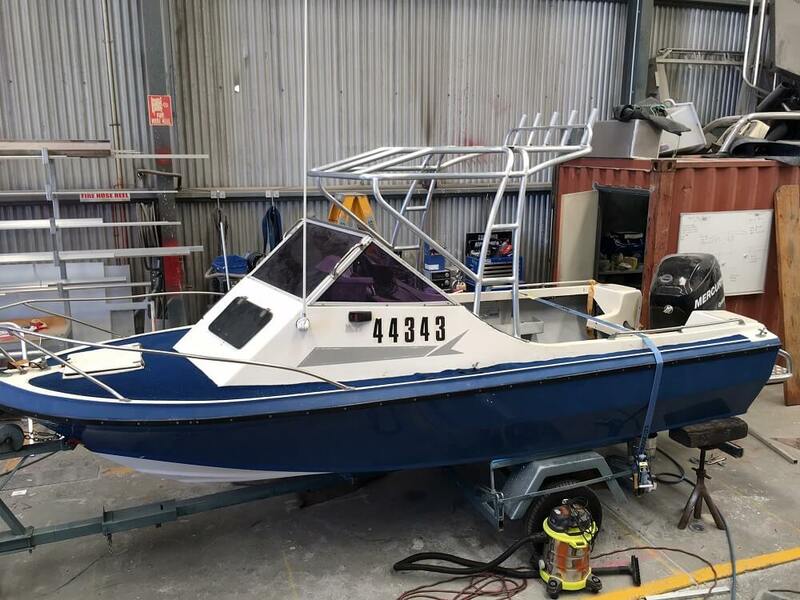 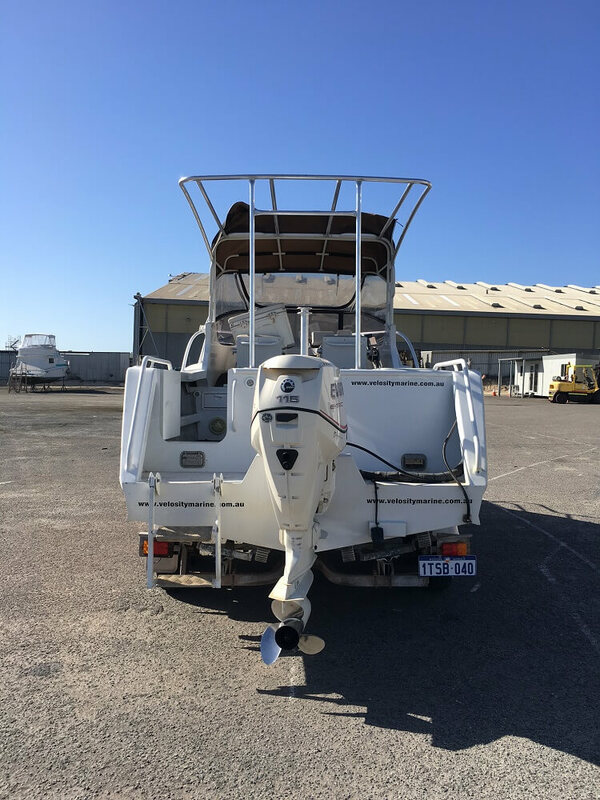 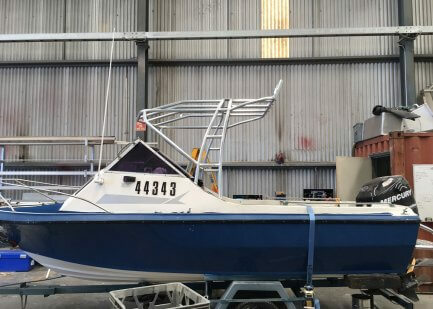 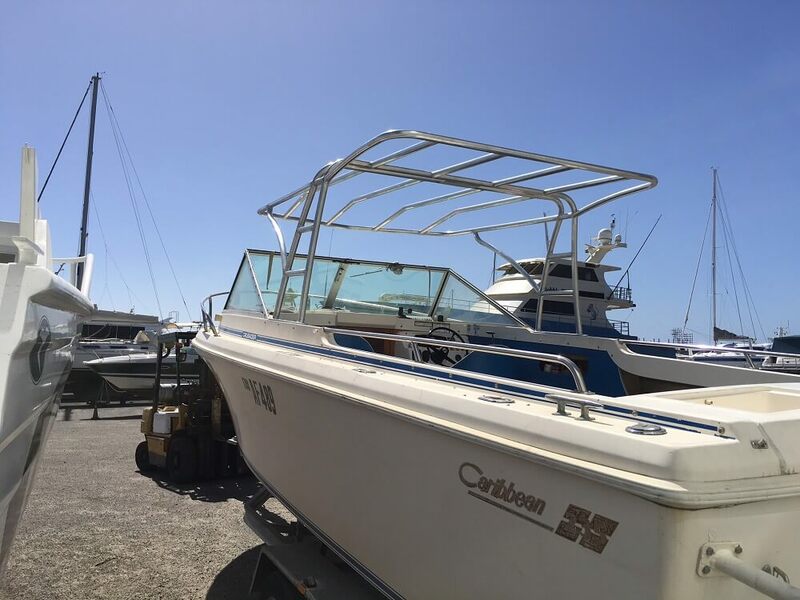 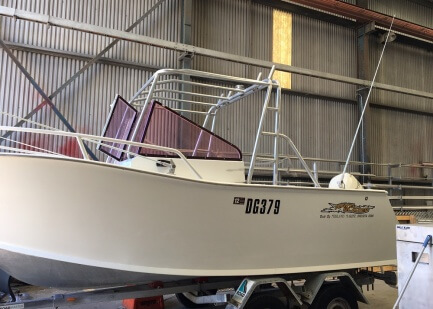 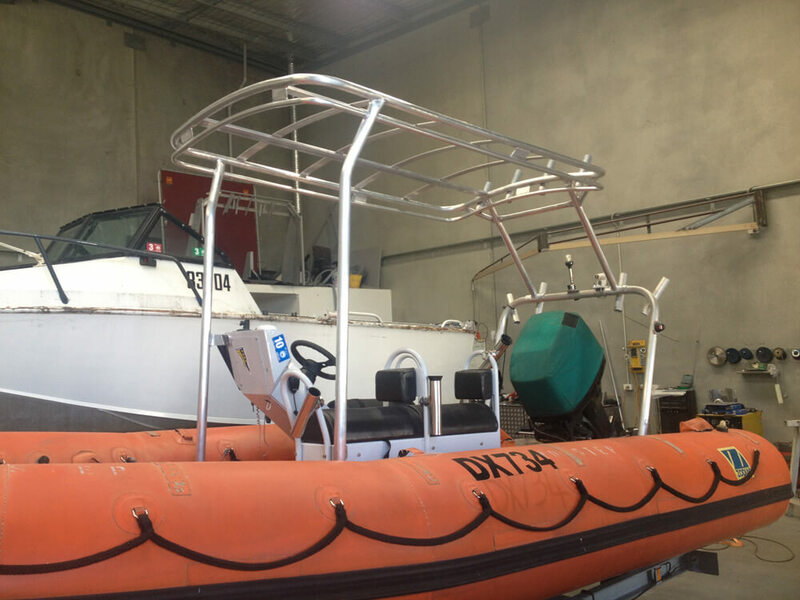 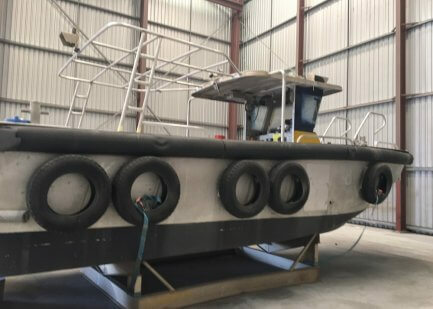 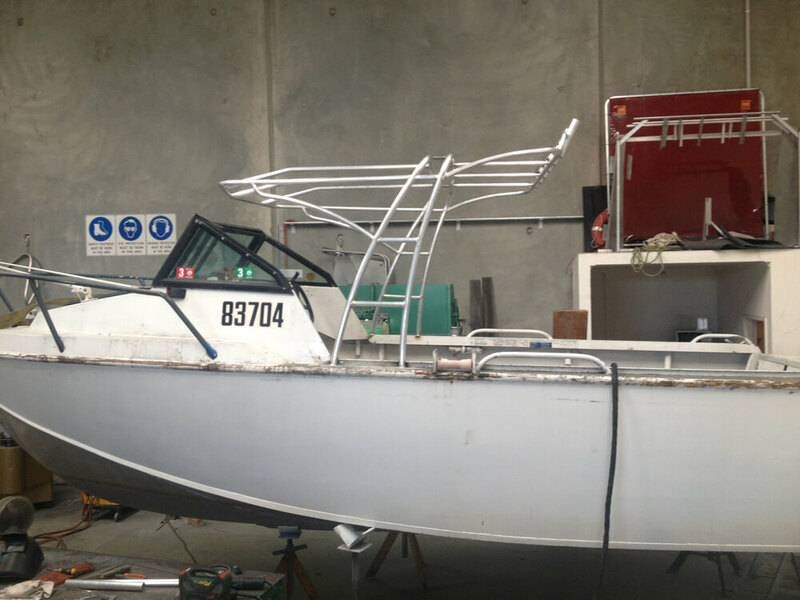 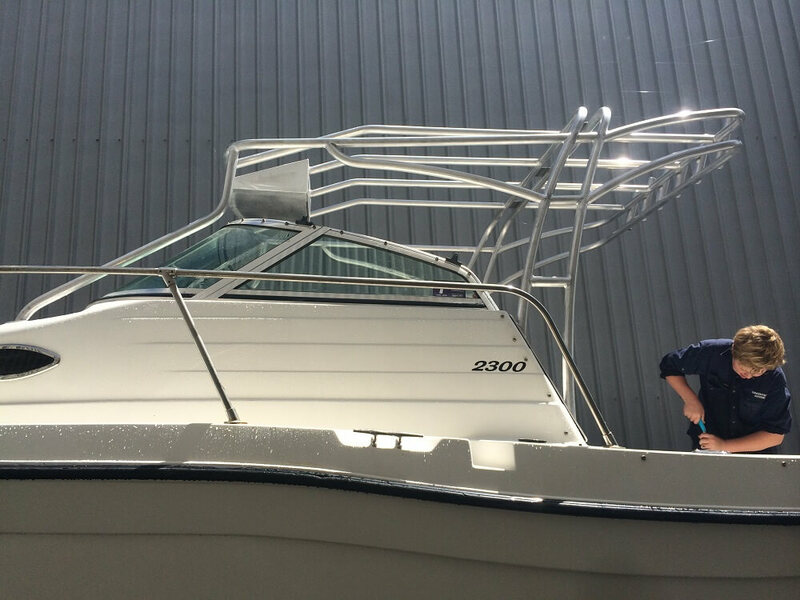 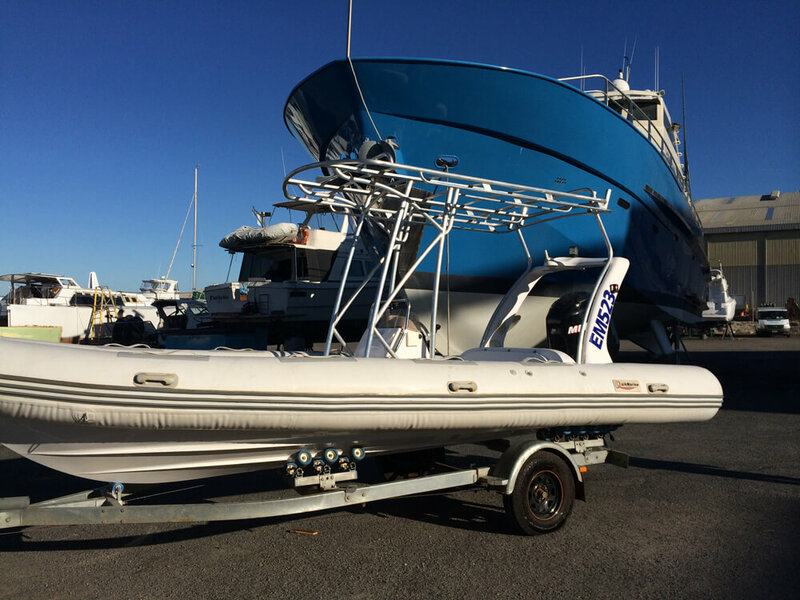 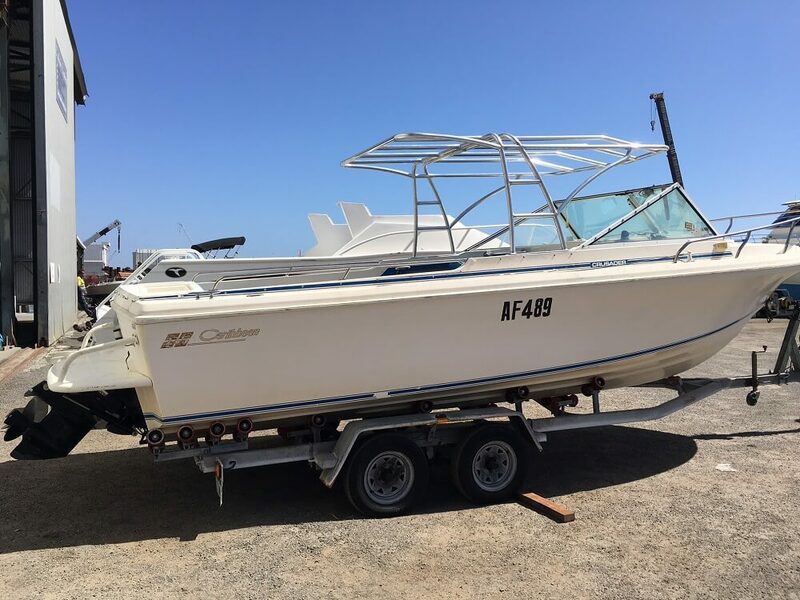 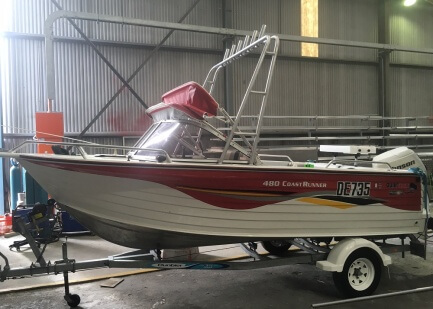 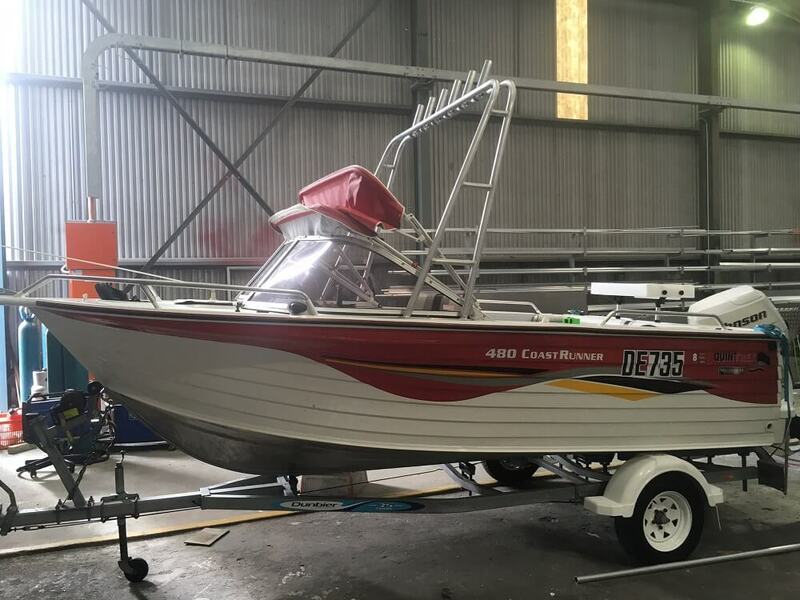 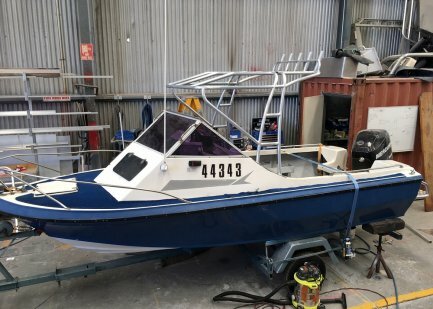 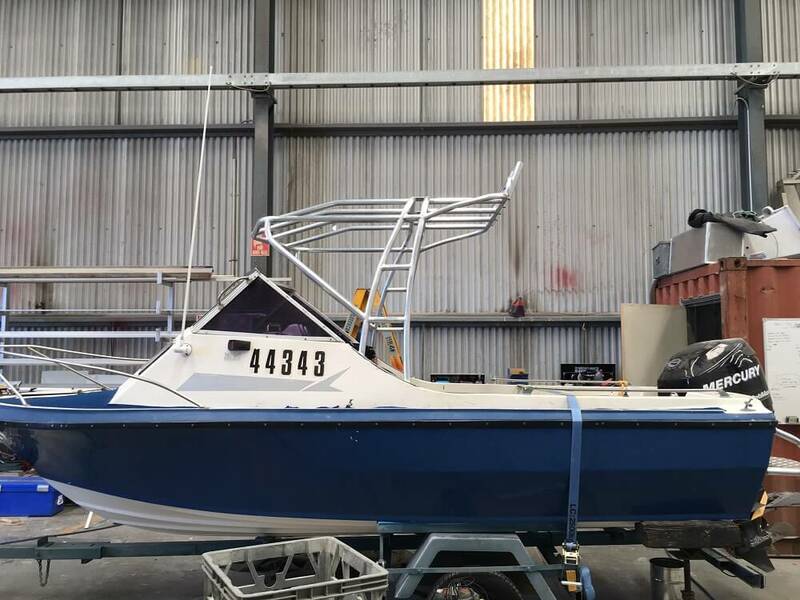 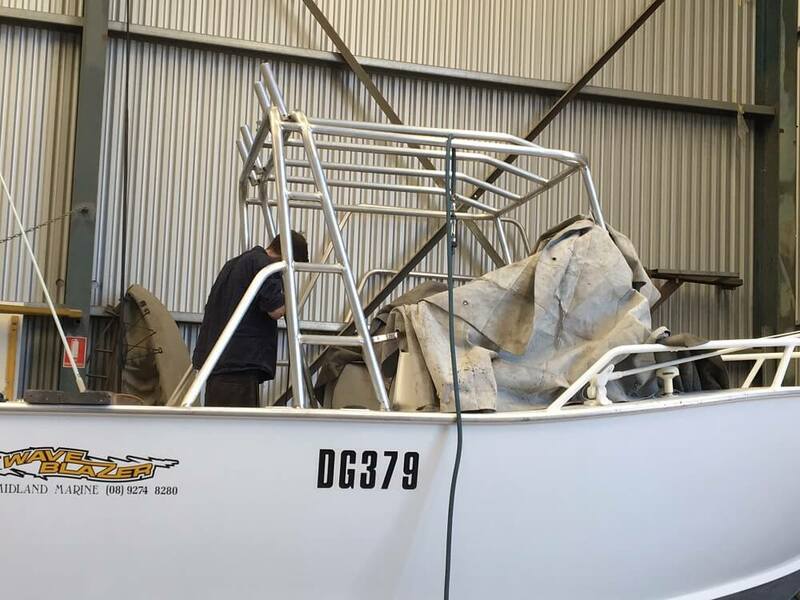 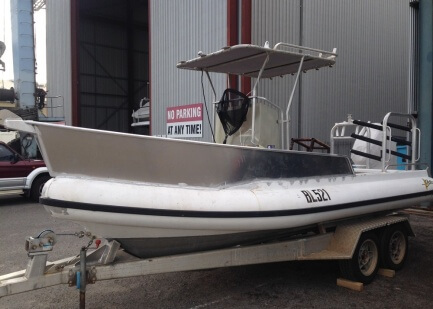 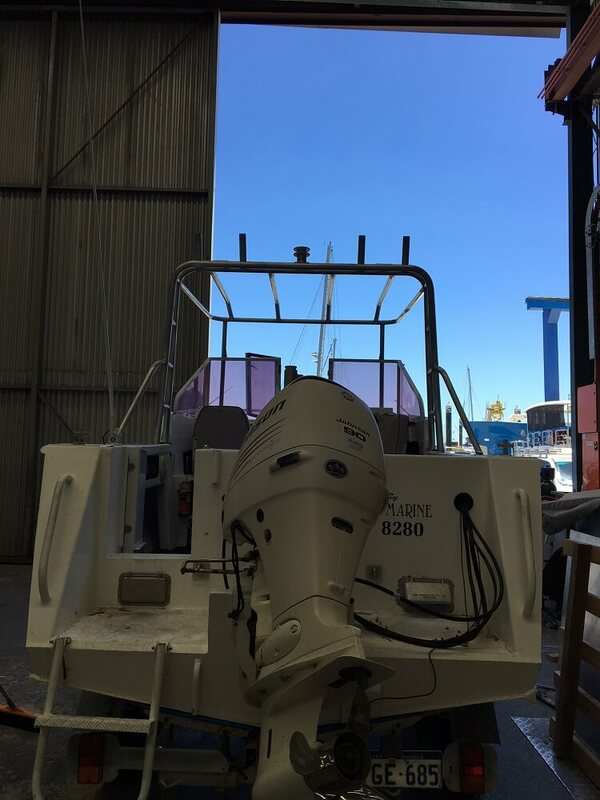 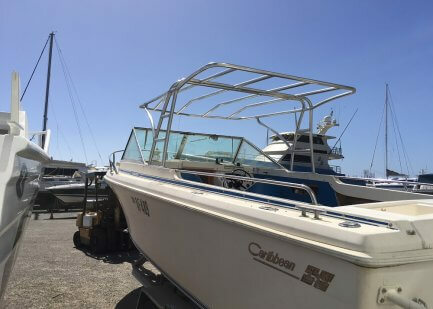 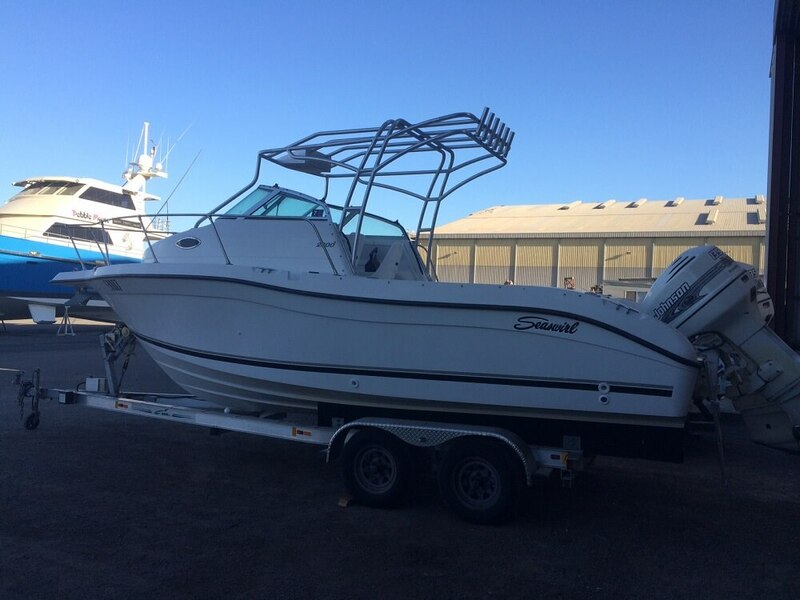 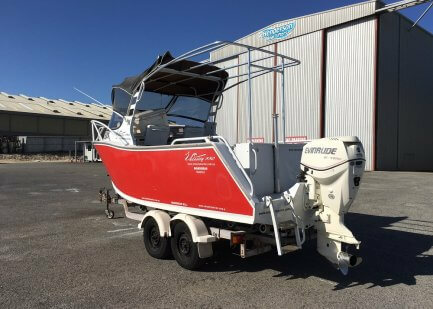 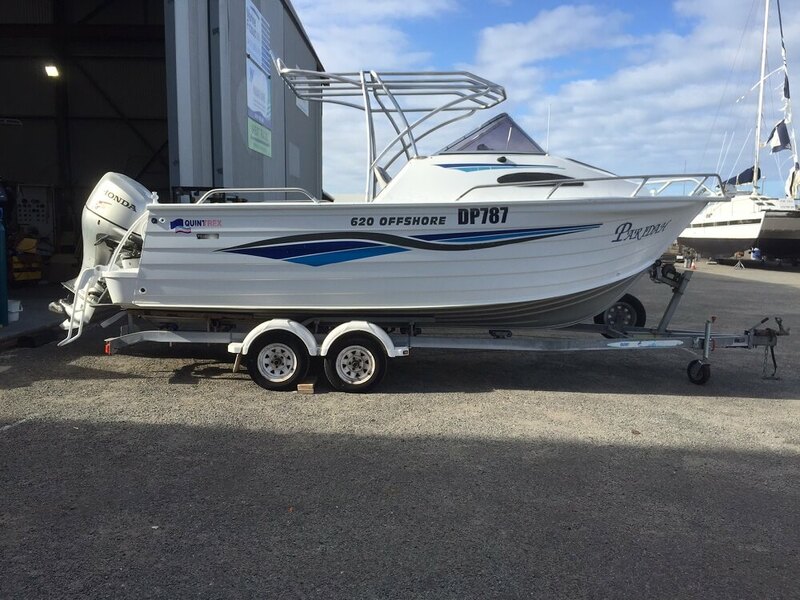 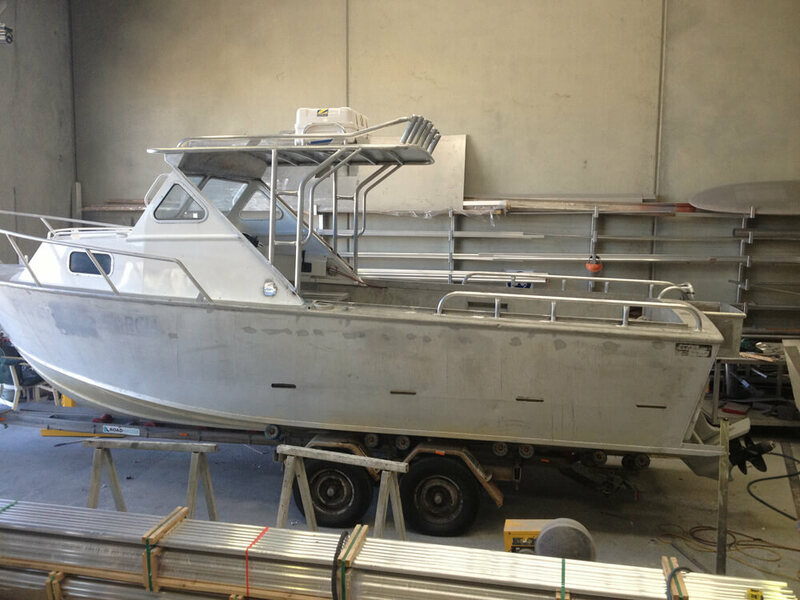 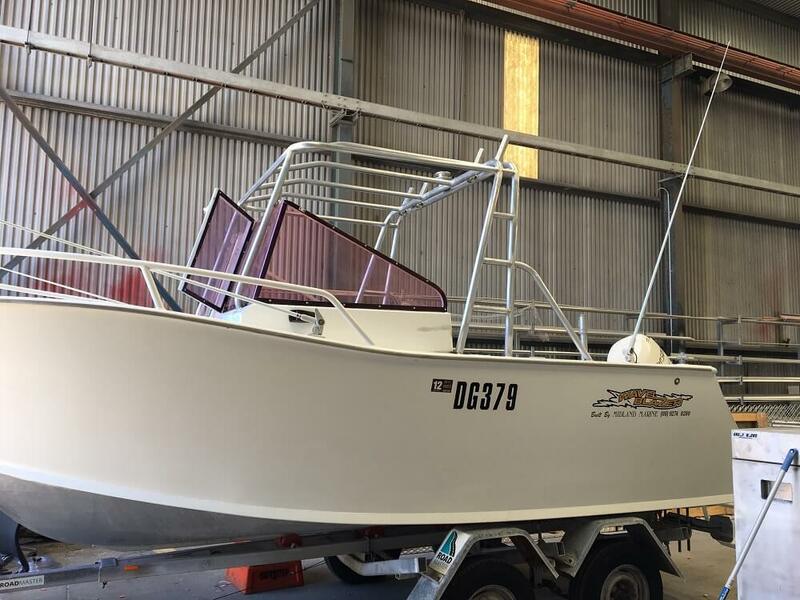 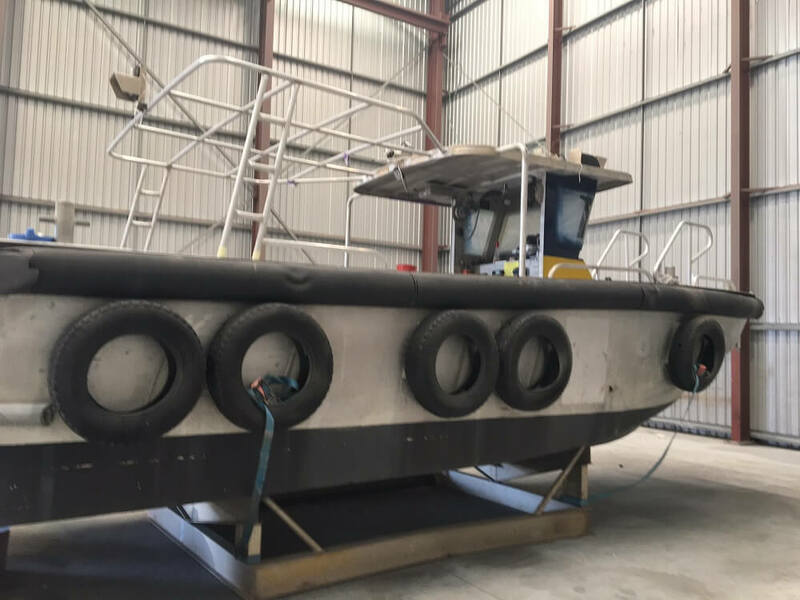 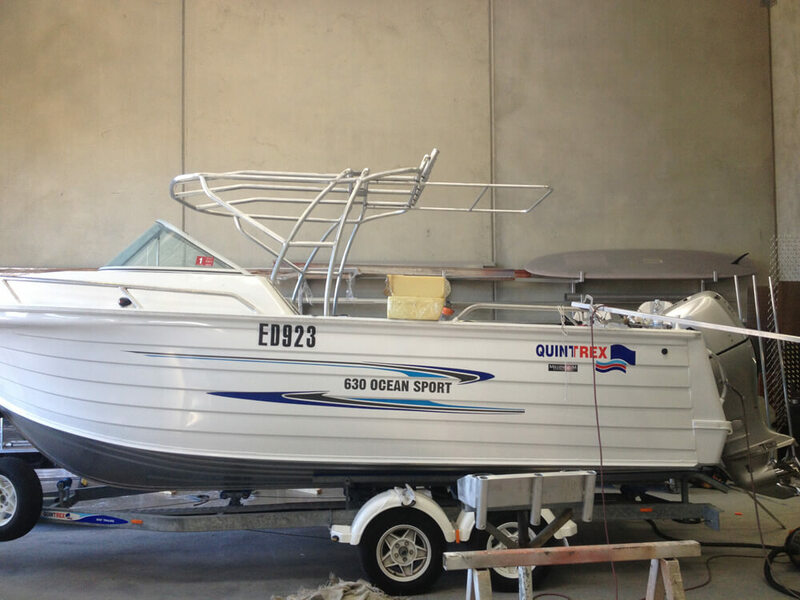 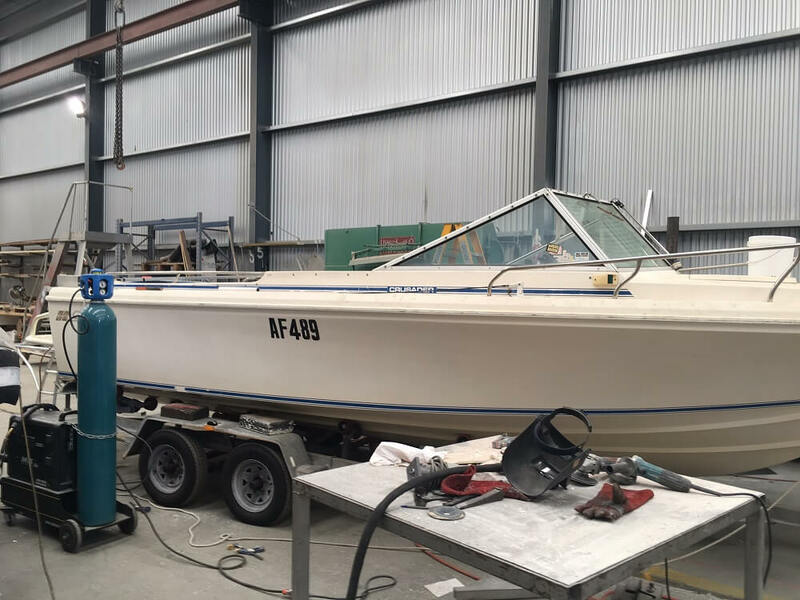 Whether you’re looking for an aluminium fabrication company to manufacture a custom boat shade or you need a reliable firm to fabricate your aluminium products, contact Wakemaker Marine today. 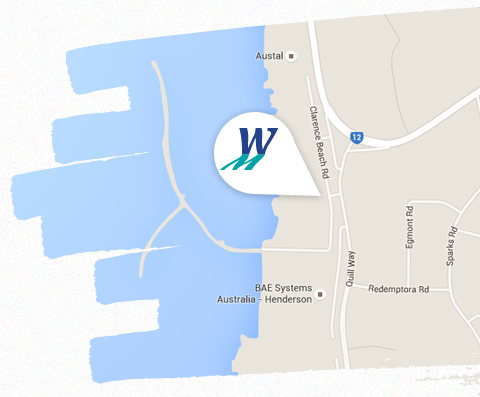 Visit our ‘Contact Us’ page or scroll down to the ‘How to Catch Us’ section to get our contact details.